Hi, I am AJ Hoge, the director of Effortless English. Time for today’s student question. This question comes from one of our members. Here’s the question: AJ, why do you such crazy, weird, strange stories to teach English speaking? Well, it is true, one of the most important part of our system are our mini story lessons and our point of view story lessons. And in these lessons we use very crazy strange stories. We use strange characters like monkeys and dogs and talking rats and all kinds of crazy stuff, celebrities. And all these crazy situations in strange situations. So, why? Why do we do this? Is it just to be fun and funny? Actually no. We actually have some very strong reasons for doing this. The first reason we do this is that, strange stories are easier to remember than normal stories. Anything strange or different, automatically for your brain is easier to remember. If something is normal and usual your brain often will ignore it or forget it more easily. But if someting very strange and weird then your brain kind of remembers it and pays attention to it and focuses on it. So we use these strange situations and strange characters to teach English grammar and English vocabulary. So you actually remember the grammar and vocabulary better. Because the whole story was kind of strange and weird. You remember the sentences better. Because they were not normal. If they were normal, they would be easier to forget. Another reason we use these crazy, fun, strange stories is for deeper learning, more repetition. See in these stories I ask you a lot of questions. And I repeat these basic sentences again and again and again in a lot of different ways. I might say no there was a girl then i say was there a girl. Was there a girl or was there a boy? So, was there a boy? No? There wasn’t a boy. So was there a girl? And I am asking again and again… In this example, I am teaching you “was there” and “there was”. But you don’t need to think about that. I don’t need to explain this to you. Just by hearing the story and the questions again and again you learn this pattern, you learn this grammar pattern without studying grammar rules. No grammar rules study. Of course, that’s a very easy example. But is the same method even for more difficult grammar even for more difficult vocabulary. So, a lot of repetition for deep learning. Strange situation so you remember it more easily and more quickly. These things together make our story lessons extremely powerful. And I am sure you will enjoy them. 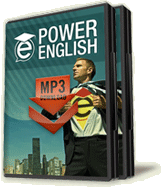 To learn more about our story lessons and our Effortless English system join our free e-mail course at effortlessenglishclub.com bye bye.